Tomorrow, Samsung will finally get out of its way to announce the Galaxy S IV, a major upgrade to its flagship smartphone. Speculation has been great over the coming weeks, enough to fuel interest from third-party accessory manufacturers. 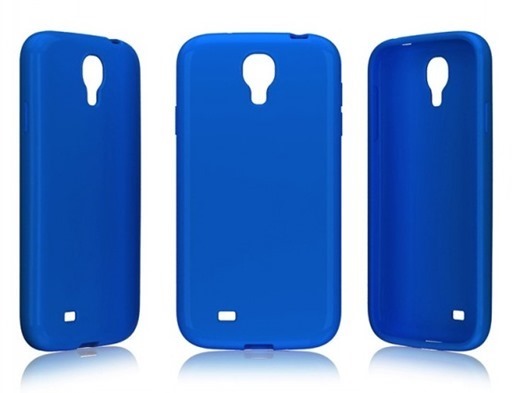 One day ahead of the smartphone’s official announcement, a set of cases specifically designed for the Samsung Galaxy S IV have leaked onto the web, embodying many design cues that are expected to make their way onto the look and feel of the new smartphone. The cases have leaked onto a UK-based e-commerce website. The accessories are unbranded and do not come from Samsung itself, however they are in line with several of the reports we have heard over the last few weeks. Despite rumors earlier this year that the device would have a squared-off look, instead of the rounded edges found on current models, the new case designs suggest otherwise. This is backed by Samsung itself, which earlier this month published an image teaser depicting the new device on the Twitter micro-blogging social network, which indeed had rounded edges. These designs are indeed the latest in a string of recent reports that suggest that the Samsung Galaxy S IV will in fact feature a very similar form factor to the current Galaxy S IV, however several changes can be noted, judging by the new case designs: the speaker has been moved to the bottom of the smartphone and the LED flash is now placed right below the rear camera lens. The Galaxy S IV is expected to sport a 13-megapixel camera, as opposed to the S III’s 8-megapixel sensor, making the smartphone comparable to many standalone digital cameras available on the market today, which, is obviously a good thing. Although not revealed by the case designs, the Galaxy S IV is expected to sport a larger 4.9-inch 1920 x 1080 AMOLED display: brighter and crisper than the current one. The unchanged device size, according to the leaked cases, suggests that screen’s bezel will simply be narrower, confirming the expectations of many in the industry. The Galaxy S IV will be announced at 7 PM (Eastern Time) in New York City, in an event that is expected to attract both media and interested consumers. Undoubtedly, more leaks are expected to take place over the coming hours, therefore stay tuned as we bring you the latest goods.